As you may have read Monday, the boss-man here, Eric Gargiulo, wrote a piece about how The Miz may end up as the worst WWE Champion of all-time. While he dislikes Miz, he was arguing from a position not as a hater, but as someone who thinks Miz wasn’t built up well enough. Okay, it’s easy to call the WWE out on half-assedly building up a new star. I do it all the time, sometimes here but most of the time on my other blog. However, I don’t this is one of those cases. I propose that The Miz is the perfect guy to hold the title right now, and that the WWE has actually done a bang-up job of preparing him for this moment. Forget the fact that I may be the foremost Miz mark on the Internet, because I’m about to drop some truth that even the most objective of observers can agree is real talk. Rewind about 16 months ago. The Miz had just been split from his former tag team partner, John Morrison, via The Draft. After doing some small-time petty sideshow acts, the most notably being shooting Hornswoggle in the groin with a t-shirt cannon, Miz started to really stake his claim by calling out John Cena each week. Cena, in the midst of a heated yet one-sided feud with The Big Show, ignored The Miz at first, but after awhile, he took notice. The results were less than stellar, with Cena squashing Miz four matches to zero in their televised series that year. This was the nadir of Miz’s WWE career in the last two or three years, where at one point, he was fired from RAW and banned from SummerFest (as Jeremy Piven called SummerSlam), banished as a joke. Now, if the story jumped from here all the way to Miz’s epic title win from last week, maybe E would have a point here. That is essentially what happened to Jack Swagger earlier this year. The All-American American American American American American American went from being in a hot feud with MVP in the summertime to really going nowhere, making sporadic appearances on RAW only to job to Santino before the Royal Rumble. Then, he all-of-a-sudden won Money in the Bank and cashed in days later to win the World Heavyweight Championship. He had no heat behind him. He had no build. 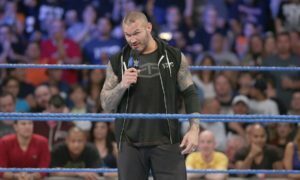 Despite the fact that as Champion, he should have gone over Randy Orton and others in a clean fashion in non-title situations, he didn’t because if he had not been Champion, it wouldn’t have been believable at that point. Swagger’s Money in the Bank cash-in is a textbook example of how NOT to book someone’s first title win. However, the script did not have a lengthy gap in it for Miz. In the time between his return to RAW, which was a week later, and his title win, Miz won the United States Championship twice, the Unified Tag Championships once, feuded with Bret Hart, cut the most iconic promo of calendar year 2010 when he recounted how bullies such as JBL and Chris Ben… err, maybe not him, but it was implied, forced him out of the locker room because he spilled chicken crumbs into their bags, was a pro on two seasons of NXT and got maybe the most TV time out of anyone not named Cena or Orton in the last year or so. None of that build was for naught either. By the time Miz had won the title last week, he was getting some of the loudest heel reactions in the company. The iron was hot and the WWE struck. We often criticize the company for failing to capitalize on guys at their heat’s peak. Here, they built up a wrestler in the best way possible and capitalized on him at the right time, and we’re worried about whether he was ready? If The Miz wasn’t ready to win the title last Monday, then he was never going to be ready. Ever. Disregard the fact that Miz is one of the best promo men in the company, or that he’s come a long way in the ring to the point where he’s a guy who can carry weaker workers to okay matches. 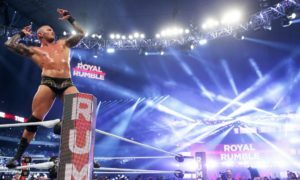 He’s been built up as the WWE’s future, and for once, arguably for the first time since they strapped Stone Cold Steve Austin, they got someone at the exact right time. It couldn’t have come at a better time either. Wade Barrett is not ready to hold the WWE Championship. Cena’s old hat, and Orton’s heat has tapered off in addition to the fact that he’s not the merchandise seller that they hoped he’d be. Sheamus has been used as a jobber to the stars in the last couple of months. Right now, The Miz is the best option going forward to hold the WWE Championship by a fairly large margin. The guy can generate heat that will help get any talent over enough to perhaps spike merch sales, and he’s got the goods in the ring. Eric knows that I respect his opinion a ton, or else I wouldn’t be writing here at all. But I don’t think I could disagree more with his take on The Miz. For lack of a better term, Miz is AAAAAWESOMMMME, and I’m glad the WWE has recognized that now before it was too late.